Roger’s Piano is the proud provider of Yamaha and other pianos used at this weekend’s National Association of Teachers of Singing Conference at the Marriott Copley Place in Boston. 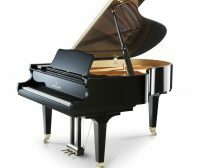 Nine models will be utilized for various events, including the Yamaha GC2 baby grand pictured above. The biennial NATS National Conference attracts NATS members and others from around the world to share in programs, demonstrations, lectures, master classes and competitions that help celebrate the art of singing and increase knowledge of teachers to help them better assist their students. The 53rd NATS National Conference will be held July 5-9, 2014, at the BostonMarriott Copley Place, a luxurious 70,000-square-foot full-service hotel that recently completed a five-year renovation, making it a destination of choice in one of America’s most historic cities. Founded in 1944, National Association of Teachers of Singing, Inc. (NATS) is the largest professional association of teachers of singing in the world with more than 7,000 members in the United States, Canada, and nearly 30 other countries. Internationally, NATS is represented in Argentina, Australia, Austria, Belgium, Bolivia, Brazil, China, Colombia, Denmark, France, Germany, Hungary, Indonesia, Ireland, Italy, Japan, Malaysia, Mexico, Netherlands, Portugal, Singapore, South Korea, Spain, Sweden, Switzerland, Taiwan, and the United Kingdom, with the number of countries growing every year.